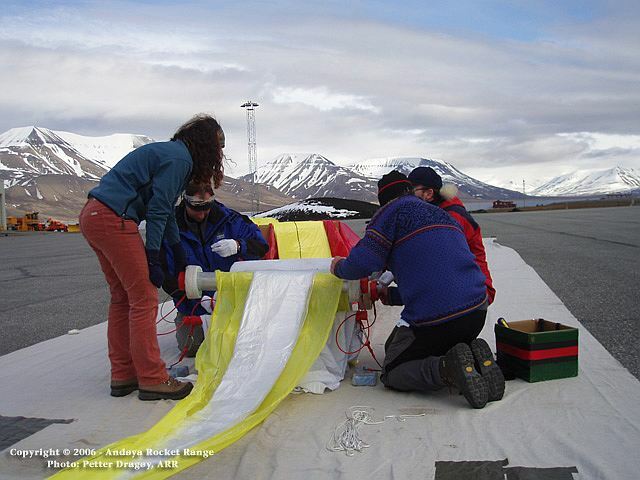 The balloon took part of a campaign designed to prove concept for launching larger Long Duration Balloons (LDB) in the future from Svalbard Islands. As the balloons reached float altitude and circumnavigated the polar region between 78 and 80 deg. N. throught the GPS/ARGOS payload was obtained a trajectory showing the stratospheric circulation pattern of stratospheric winds, diurnal excursions, and potential termination/impact locations for the future LDB flights. The balloon carried also an Italian built payload called PEGASO (Polar Explorer for Geomagnetism And other Scientific Observations) in the framework of the PNRA program (Antarctic Italian Program) around the northern polar region. The payload, constructed by National Institute for Geophysics and Volcanology (INGV), was designed for geomagnetism, but supports additional scientific packages, supplying power and collecting data. The built-in scientific instrument is a 3-axis ring-core fluxgate geophysical magnetometer, kept far from the rest of the payload by an aluminum boom. 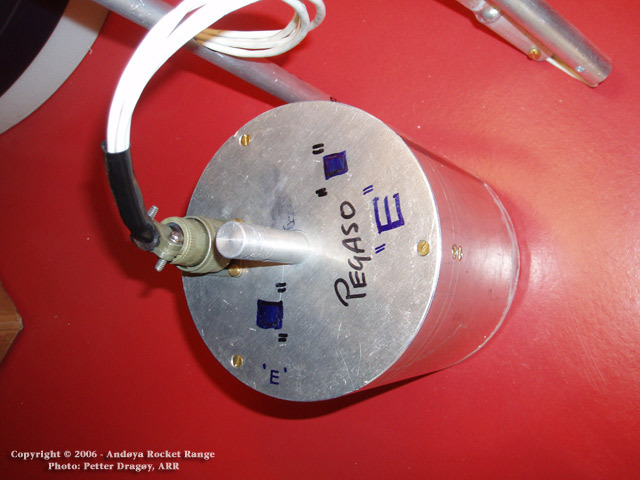 PEGASO includes a GPS system for data localization and uses an Iridium bi-directional Telemetry for data download and flight remote control (ballast release and termination) through a ground station. 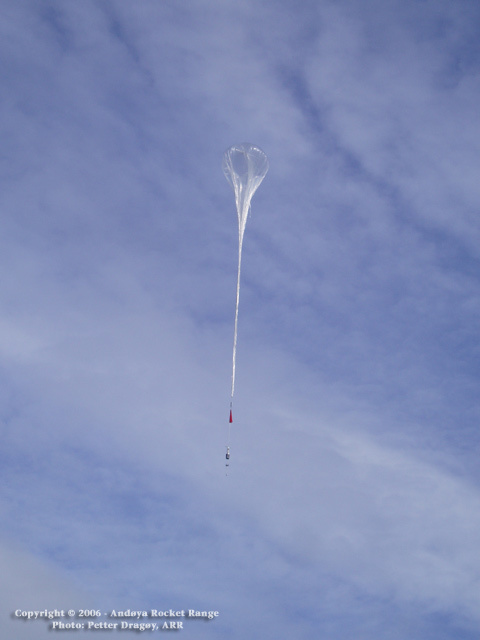 The stratospheric balloon carries a secondary tracking system (GPS/Argos transmitter) used to track the balloon payload system along with the Iridium communication package. The float altitude of the balloon is useful for the study of the radial variation of the geomagnetic field. The definition of the magnetic anomalies in the surveyed region will be highly improved, due to the long distances traveled during the flight. In addition to the above described instrumentation package, the payload carried a joint Norwegian-Italian student experiment called RDR/BXR to have simultaneously radar measurement (RDR) coordinated with X-ray measurements from the balloon borne experiment (BXR), to study high-energy particle precipitation and associated Bremsstrahlung radiation in the polar atmosphere. By combining both measuring systems, it will be possible to study the energetic precipitation influences in generation of plasma instability, if any. The launch of the balloon was acomplished by dynamic/manual launch method at 14:56 utc on June 14th. Following a nominal ascent phase, the balloon achieved the float altitude ans started a flight path due west. After 15 days of flight, the balloon achieved a full circle around the northe pole, passing over Svalbard again. Two days later on July 1st the payload was separated by command at 23:06 utc, while flying at a height of near 32.1 km. The landing of the craft ocurred 41 minutes later at coordinates 81º 28' North - 5º 24' West in the north part of Greenland. 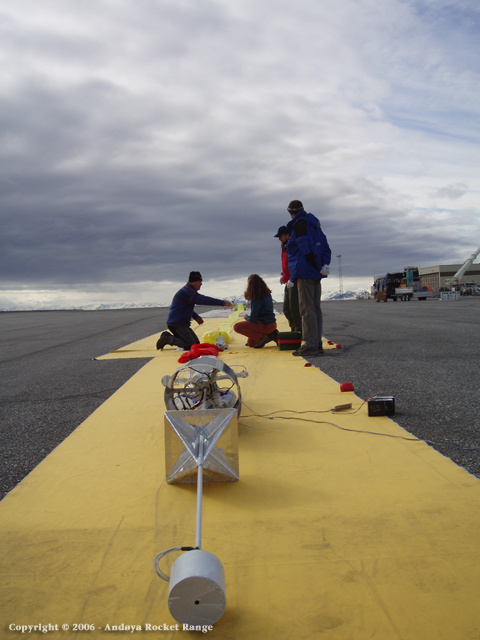 This was an historical flight because the balloon achieved the first complete circumpolar trajectory in the northern hemisphere of a stratospheric research balloon.